Rhyming creepy-crawly fun from the creators of Rumble in the Jungle and Commotion in the Ocean. This brilliantly beastly bouncy rhyming romp from Giles Andreae and David Wojtowycz will delight the many fans of this bestselling duo. 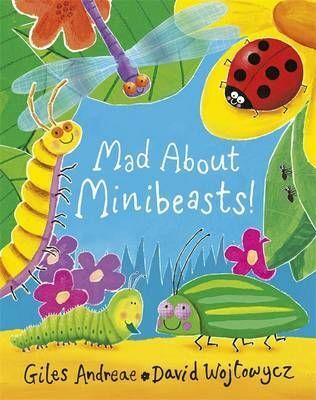 From slugs and snails to bustling beetles and beautiful butterflies, these rhymes are bursting with humour and read-aloud-abilty - perfectly matched by the bright, bold illustrations.